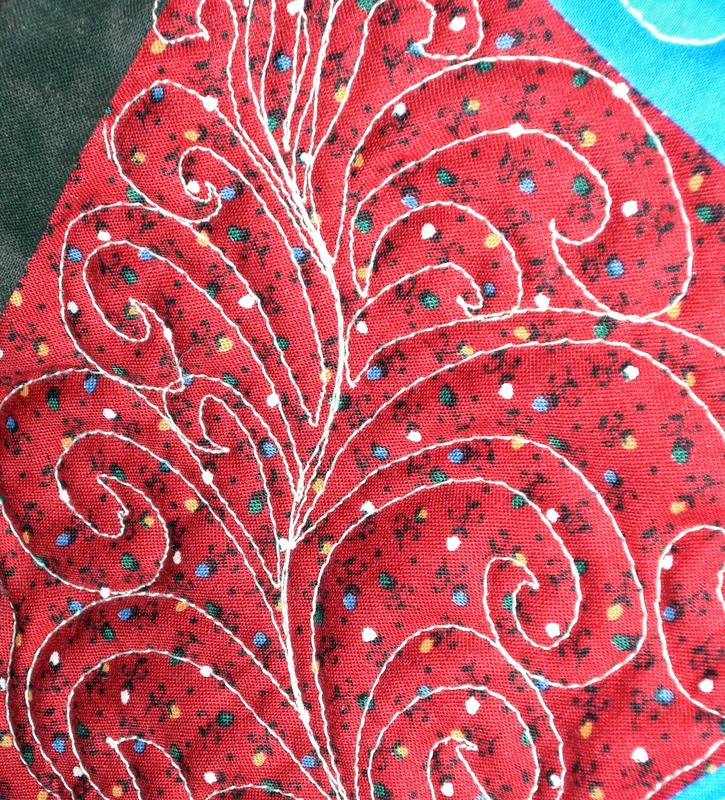 I have been busy with things other than sewing, quilting and weaving. 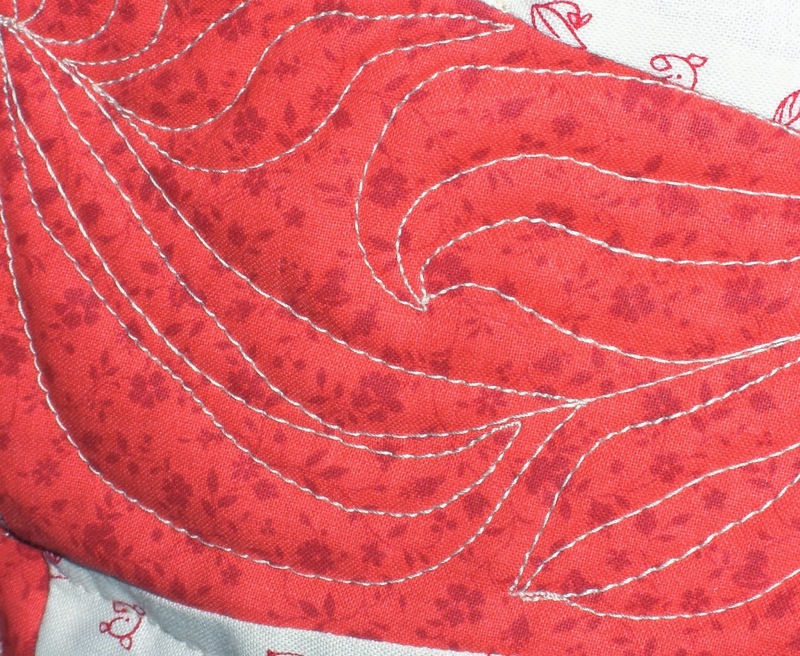 But I am trying to log a little quilting on the wonky squares quilt as often as I can. Here are a few pictures with captions. Modified Stipple - oops, I crossed a line! 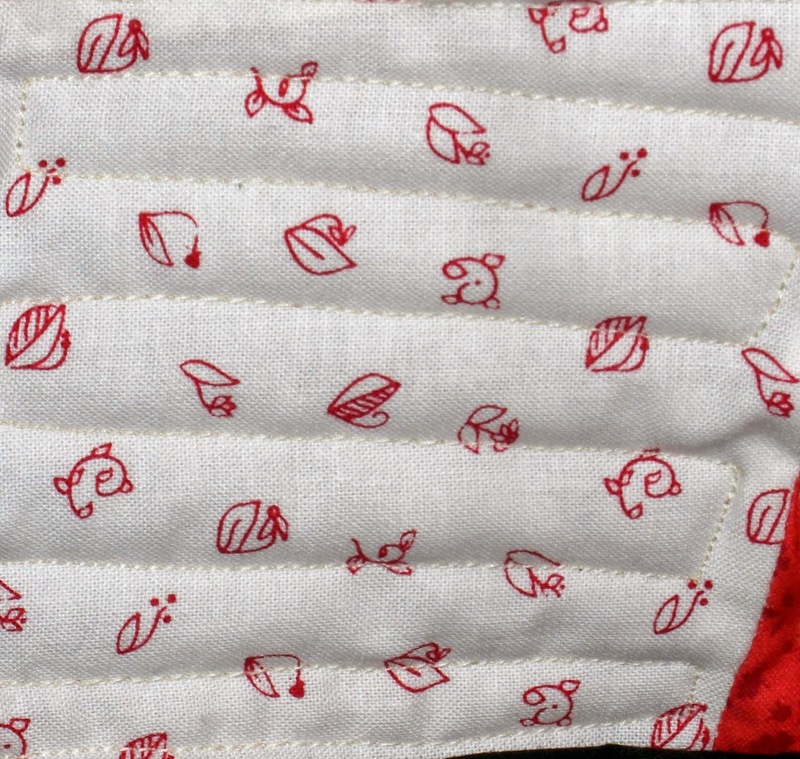 To be honest, I am not enjoying quilting this one. I think it is the polyester batting. I should have stayed with my old faithful Warm and Natural (or) Warm and White batting. In other news, I saw the Doctor today and was given a big smile when he looked at my CPAP data. He said that I am doing really well with it and he is pleased. Great news. I am sure you are resting better. 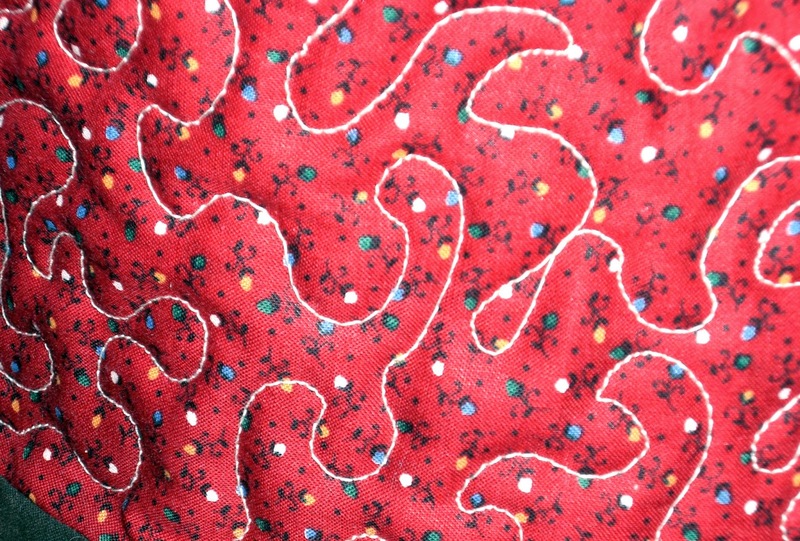 Good news from the Dr....you FMQ is looking good...Happy Easter!!! Your FM looks good to me! A good nights sleep is the best medicine for our health! Glad you are doing well.